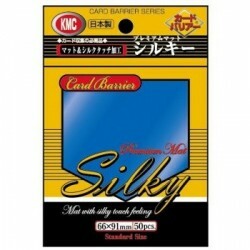 KMC There are 16 products. 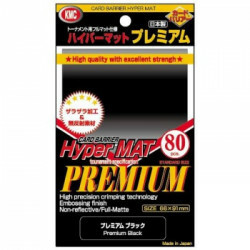 Hyper Mat Premium series are produced by adopting non-reflective materials for the clear side of Hyper Mat series, scratch resistant by embossing finish. 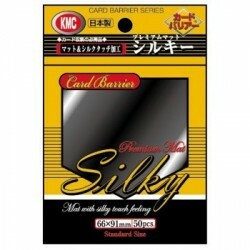 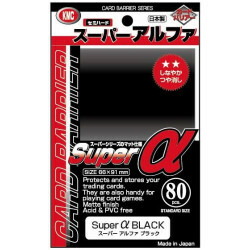 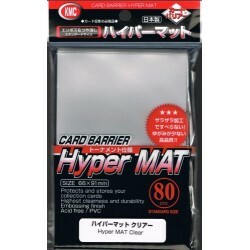 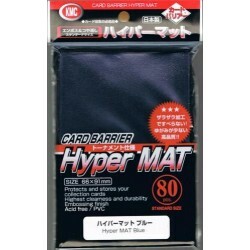 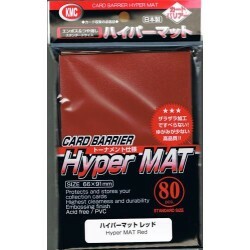 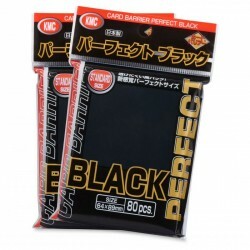 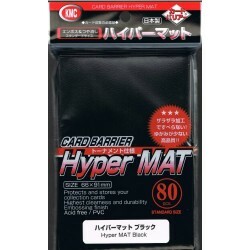 Hyper Mat Premium series are most highly graded card sleeve with fully matted feature suitable for card game tournaments. 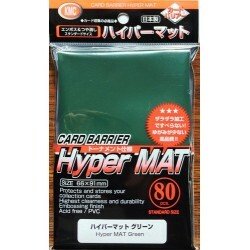 Silky Matte sleeves are simular to Hyper Matte sleeves with the differences being the Silky sleeves have the texture removed from the backs, are .10mm thick, & 1mm shorter. 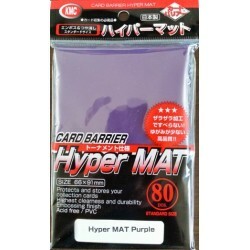 This provides a better fit and feel for playing and shuffling. 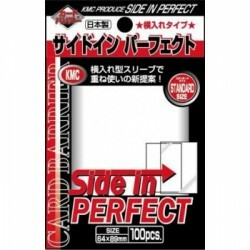 Side-loading version of the famous KMC Perfect Size, inner sleeves used for double sleevings or archiving. 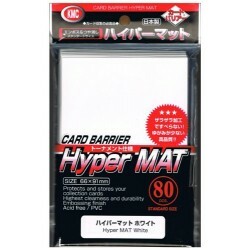 Card Barrier α series are matte finished semi-hard sleeves with scratch and stain resistanse. 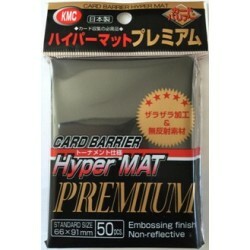 All the card game players can accept them.